For most local businesses, customers and loyalty mean everything. Unfortunately for many types of small mom and pop businesses, the internet has completely changed not only the way we shop and by things in the world today but also how we find out about local businesses as well. While the majority of customers to a local diner, store or retail location might live within the area, a decent percentage of consumers will be first-time visitors who are just passing through the area. The way these individuals find out about such small businesses is usually through the use of sites like Google, Yelp, and other online review sites. For this reason, it’s extremely important for local businesses of all sizes to start paying attention to how they look online. 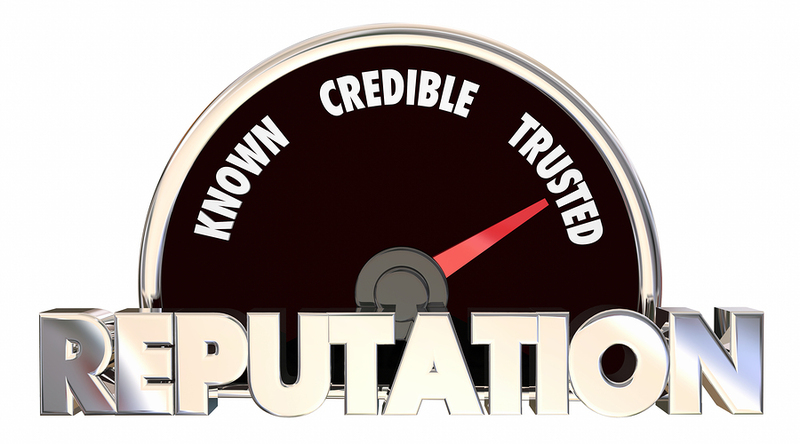 It’s not just a matter of having a great reputation, it’s also about making sure all of your information is correct and delivering the best first impression possible. After all, if a local business isn’t successful in their local marketing and branding, they are simply failing and falling behind. 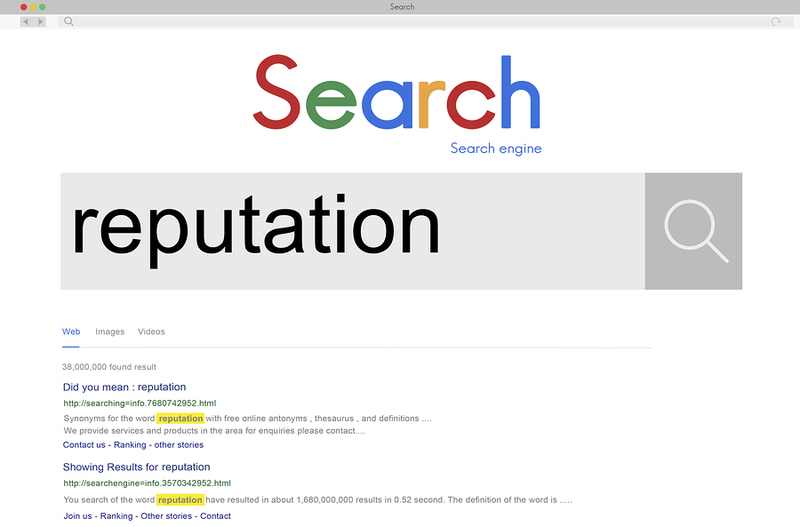 To help with this process, we recently had the opportunity to connect with Todd William, founder, and CEO of Reputation Rhino in New York City and a leading expert in the world of reputation management, and asked him some very important questions about local SEO, the importance. 1. Why is it important for local businesses to care what’s online, even when most of their customers are local and loyal customers anyway? I am sure there was a time when customer loyalty was something a business can take for granted. Now local businesses are competing with Walmart, Amazon and other local businesses and customer loyalty, like most products and services are increasingly viewed as commodities by consumers. Just as a farmer must water and tend to his field in order to yield a bountiful harvest, a local business must build a community in order to ensure customer loyalty, rewarding this community with sales and specials, regular communications and a commitment to outstanding service and support. Since the main focus of your website and business is on email marketing, I think it’s also important to talk about the power and responsibility for local business to start building their online mailing lists as well. This can often be as simple as asking for an email at the time of checkout, creating a rewards program, or even having a newsletter book in the store that users can write out their email. It’s no longer just a matter of knowing what’s online, it’s also a matter of being able to connect immediately with your offline customers online as well. 2. Many local businesses will think they don’t need the internet, and what they don’t know won’t hurt them. How is this horribly wrong and why must every brand or business have their own presence online? 87% of U.S. adults use the internet. According to Search Engine Land’s recent Local Consumer Review Survey, 85% of customers use the internet to research before making a purchase. If a business wants to survive in today’s competitive economy, online is not an option or a convenience, it is a necessity. 3. The average small and local business owner probably isn’t going to know much about creating a website or ranking in the search results. Before attempting to clean up or monitor brand mentions online, what do they need to know? A business owner should start by “Googling” his company. I am amazed sometimes that business owners do not try the same searches their clients or customers are using to find the business in the first place. Based on these search results, a business owner will find one of three possibilities: (1) positive reviews and positive brand mentions; (2) no reviews and neutral brand mentions; or (3) negative reviews and negative brand mentions. Based on an assessment of these initial findings you can begin to formulate a strategy (and tactics) to respond to online reputation management issues. 4. 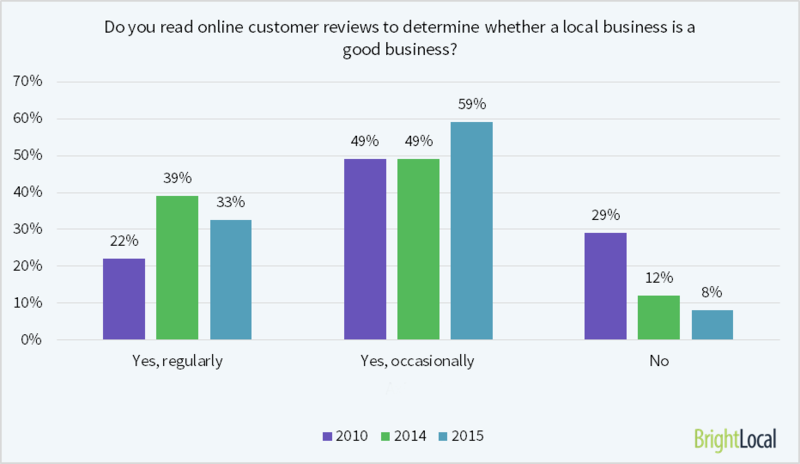 How important are review sites like Google Local, Yelp or TripAdvisor to local businesses? Local business listing sites and the online reviews they publish regularly are important for several reasons. First, Google gives tremendous visibility to local business review sites – they nearly always rank on Page 1 for branded searches. Second, consumers give great weight to reviews on these local review sites. A recent Zendesk study showed that 90 percent of respondents who recalled reading online reviews claimed that positive online reviews influenced buying decisions, while 86 percent said buying decisions were influenced by negative online reviews. 5. Why is it important to have a reputation management plan in place before something bad actually happens? We are all familiar with the five stages of grief: denial, anger, bargaining, depression, and acceptance. A serious negative incident online prompts a similar psychological response, but the consequences for a business are financial and sometimes catastrophic. An escalation process to management and a clear line of authority for handling crisis communications can help a local business weather almost any storm. This is also where the value of having an in-house mailing list can serve your brand and customers as well. Instead of focusing on getting a PR statement out there for the world today, you can immediately address any concerns or issues with your current list of subscribers and customers to make sure they are taken care of first. The same can be said about creating a blog around your business and coming out with new and valuable content for your audience. To make the most of your business and reputation management efforts, having a clean mailing list of subscribers and blog that continually ranks well in the search results are two of the best ways to protect your brand, and grow a loyal following in the process. 6. What are the methods and typical costs for a local business to outsource the process of managing or improving their online reputation? 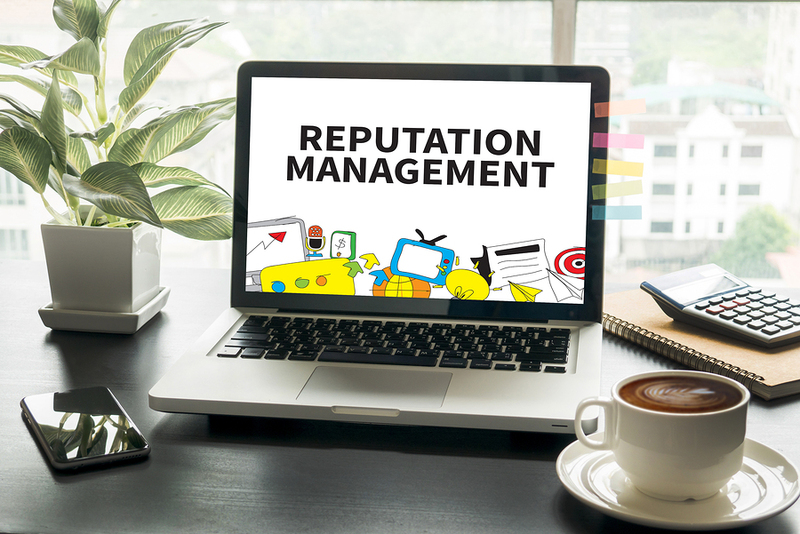 It is important that every business recognize that reputation management must now be an essential component of any advertising and marketing plan. If a business goal is simply focused on growing and maintaining a positive reputation, there are strategies available for as little as a few hundred dollars monthly. If there are serious issues, the cost can be several thousand or more dollars to fix. It is certainly more affordable to be proactive and avoid most reputational issues in the first place. To get a better understanding on the actual costs associated with reputation management, you will need to look at the many different components of your business — such as SEO, review sites, email marketing, social media and articles placed on other sites. All of this will come into play, along with the negativity of such content online, and the sites in which it might be posted to. 7. For a local brand or business that has already been attacked and is flooded with customer complaints and bad ratings, what is the best method to start the cleanup process? If a local brand or business is flooded with customer complaints and bad ratings it is usually evidence of a systemic failure of management and training. These are difficult challenges, but not impossible to correct. It requires a strong commitment to cultural change at a company, it may be painful and there are almost always casualties. If the customer complaints and ratings are public, as they almost always are, is important to communicate the issues publicly, share the planned solutions, follow through is essential and report the results widely – social media is uniquely suited to these conversations. A common theme here is that having an email list of customers and site visitors is crucial for all aspects of your business. This is especially true for collecting online reviews and getting genuine feedback from your customers as well. While you can’t tell your customer to give a ‘5 star’ or a ‘positive’ review, you can simply ask for them to provide feedback and leave a review on a site like Yelp or Google local. Connecting with your offline customers through email will increase the likelihood of getting online reviews drastically. Special thanks to Todd for taking the time to answer these common, yet very important, questions that every small and local business need to know. If your business or brand isn’t currently online, it’s only a matter of time before a site like Google or Yelp does it for you. Without having an online presence or knowing what reviews are being posted in reference to your brand, you are simply leaving yourself wide open for potential attacks and further problems down the road. With so many different factors coming into play when it comes to growing a successful and trusted brand online, it’s all about getting the best first impression possible and your message in front of the right audience. With this in mind, it’s also about reaching new audiences and making sure they understand who you are, what you have to offer, and how you are already a trusted and well-known brand online. This is where the power of email marketing and opt-in lead generation comes into play. Through our advanced lead generation platform, we have the ability to put your message and call-to-action on thousands of websites with real visitors who are looking to subscribe to your mailing list. We only work with the highest quality site partners, and all leads are 100% opt-in. To learn more about how to get started with your own email marketing and lead generation campaign to grow your mailing list, be sure to contact us today. Not only is our technology better than the competition, it’s often done at a much lower rate while clients continue to see higher ROI.